BANNER ELK, N.C. - July 12, 2015 - PRLog -- ~ Joy Mann, CEO of RMANNCO, Inc. has announced the filing of multiple international patent applications regarding new products planned to be introduced in early 2016. 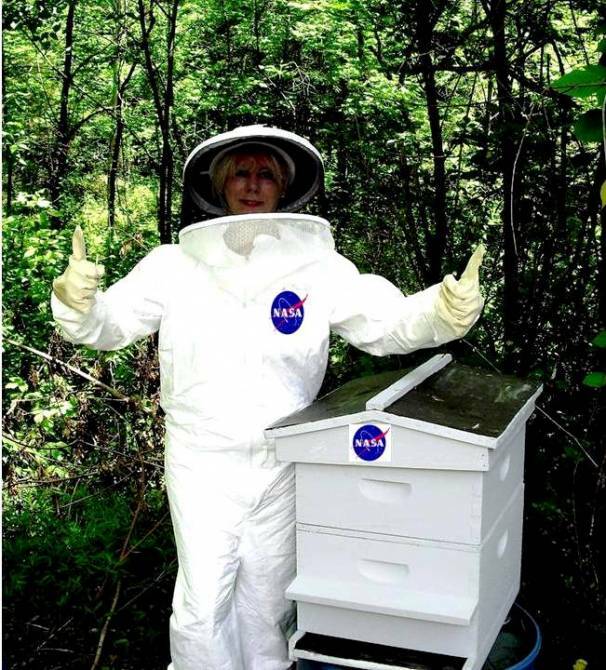 Mann said that a new way that enables chemical transport of selected chemicals that can be metabolized by honeybees (both mellifera and meliponines) to create new kinds of honey and to help control hive pests has been developed by RMANNCO's Chief Scientist, Dr. Joseph A. Resnick. Based in Lenoir, NC, RMANNCO has offices in Las Vegas, NV, Kuala Terengganu, Malaysia, Hong Kong and Guizhou, China. Using RMANNCO’s proprietary microencapsulation instrument/process, developed in collaboration with NASA, Dr. Resnick creates “pollen-sized” microcapsules that contain encapsulated substances, such as, Erythritol, a chemical compound containing Rebaudioside A-E and X, found in the Stevia plant, which is fed to honeybees to produce new kinds of 'Designer Honey'. Beneficial compounds, e.g., Reb A-E and X, extracted from the Stevia plant, have been shown beneficial for use by humans and are natural sweetener compounds that do not cause rises in the insulin levels in humans. Stevia, as well as a number of different plants and herbs, such as Ginseng, have been used in traditional Chinese medicine and the practice of herbalogic medicine for thousands of years. In another embodiment Dr. Resnick uses the RMANNCO technology to create "LTIP", or "Low Toxicity Integrated Pest Management Product", that uses all natural substances to combat trachea and varroa mites at the sub-micron level. Under sponsorship of RMANNCO, Resnick and Mann conducted field tests of microencapsulated erythritol (stevia extract) with Tropical stingless honeybee, “Melipona”, in Malaysia and Singapore during most of 2014. The field tests proved Resnick's theory that bees could be fed desired substances and those substances could be used to improve the glycemic index of honey being produced by bees even during Monsoon Season when forage is scarce for all pollinators. Dr. Resnick published a paper concerning Meliponiculture, or the commercialization of Tropical stingless bees, while on assignment in Malaysia/China/Singapore. The paper can be viewed at http://media.wix.com/ugd/fdfcdf_f4ea6262908b46dd90f1ef52c... .
Dr. Resnick's breakthrough for 'Designer Honey' is in the form of a new product he calls, ‘synthetic pollen’ because the microspheres are about the same size as natural pollen grains typically used by honeybees, which are 10-20 microns in diameter. The microscopic-sized balls have a core that's filled with the healthy nectar Resnick creates using Non-GMO, certified organic extracts. When talking about feeding his bees Dr. Resnick says that, "smaller is better in terms of making a healthy food supplement for pollinators that is both nutritious and easy for honeybees to transport back to the hive". Resnick said that during manufacture he can make the capsules as full as desired, make the shell walls either as thick or thin as he wants, and can alter the molecular polarity of the microcapsules making them ‘cling’ or 'not cling' to hairs on the bee and make them in sizes ideally suited for placement in pollen sacs located on the bees’ legs. Resnick said that preliminary test results indicate that by supplementing the bees’ diet with the encapsulated Erythritol results in alteration of the glycemic index of the honey produced by the Melipona. Tests by an independent testing laboratory in the USA confirm that fructose levels are reduced when the meliponines are fed the synthetic pollen. Resnick said that fructose is "the bad sugar found in honey". Dr. Resnick said he carried out the studies during the Monsoon Season in Malaysia and Singapore so that he could determine whether or not the new bee food could be used to help pollinators and prevent starvation during bad weather seasons both in the Tropics and in temperate climates. For example, in the USA during the winter months, some Beekeepers report losing as much as 40% of their colonies due to starvation. Resnick said he feels the new bee food formula can help to prevent starvation during winter and Monsoon seasons when forage is almost nonexistent for pollinators after spring flower and plant blooms, worldwide. Dr. Resnick said that he has developed several new species of the ‘bee food’ in the form of ‘artificial pollen’. He said the preliminary studies with stevia and encapsulated Erythritol proves the bees metabolize target compounds that, as a result of his supplemental feeding method, are placed in the honey and beeswax matrixes, and also in the propolis. RMANNCO and Dr. Resnick have recently formed an alliance with the North Carolina Ag Biotech Group at the Research Triangle Park in Raleigh, NC and with the North Carolina Agriculture and Technical University's Kannapolis, NC campus. Formalized research programs are being structured with guidance and assistance from both entities leading to RMANNCO's filing of the Chapter 13 application with the NC Department of Agriculture and the US Department of Agriculture enabling marketing of the new products. RMANNCO's marketing strategy is to introduce the new bee food products, first, in North Carolina which is considered the Nation's premier Honey production state. Plans for national and international roll-out of the new bee food products include a joint venture with two China-based companies, regional Chinese governmental authorities and several agricultural universities in China. Joyce Mann, CEO of RMANNCO, Inc. said, "RMANNCO is seriously considering the collaboration offers it's received from the parties in certain ASEAN countries, as well as factions of the Chinese Government and numerous companies and stevia farming entrepreneurs. The Chinese markets present our largest opportunity to commence immediate sales and distribution, particularly in collaboration with the Chinese Government. There are more than nine million (9,000,000) registered beekeepers in China with these having at least 100 colonies, each, according to the Ministry of Agriculture in Beijing". Mann said, "The business climate in China has changed, significantly, over the past several years. The Chinese Government welcomes new technology ventures in the form of providing venture capital along with assurances that the product developed under the ventures will be sold in all global markets. Those kinds of assurances are very hard to ignore". Concluding the interview Mann said that the company is working with NCDAR to complete the labeling and product registration requirements leading to marketing in early 2016 and "in plenty of time for the next honey flow season in North Carolina". Joyce M. Mann, CEO, RMANNCO, Inc.